Three Poetic Engines: site specific sound installation + Augmented Writing exhibition + artist book. Curators: Stéphanie Delcroix & Michael Pinsky. President of the Artistic Committee: Hubertus von Amelunxen. NB. This documentation concerns the sound installation only. For a complete overview of the project download the related file HERE. Location: Belval, Luxembourg, 2016, in the framework of the BeHAve - Public Art Experience residency program. 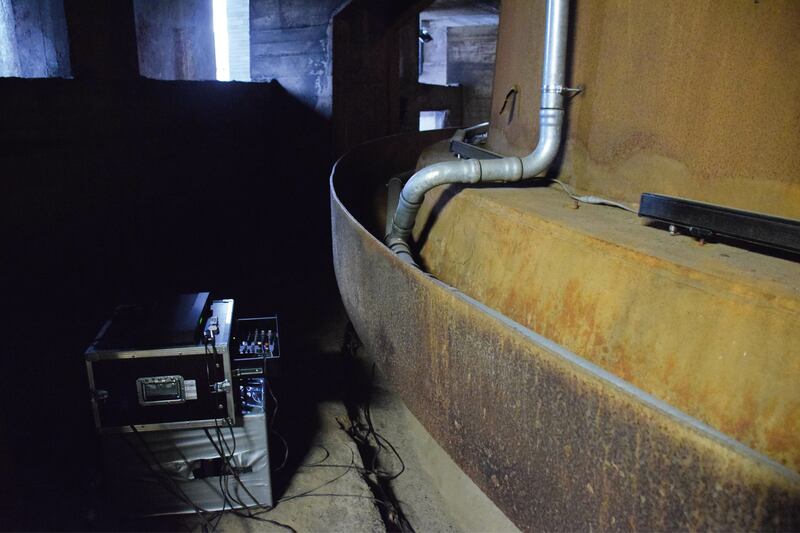 Now playing: 7' audio sample from the sound installation Three Poetic Engines - Engine meet, say, realized by Alessandro De Francesco and Paolo Ingrosso as a site-specific reading environment in the blast furnace A of the metallurgical site of Belval, Luxembourg, 2016. Further information after the pictures. Three Poetic Engines is a project by Alessandro De Francesco realized in the framework of the artistic residency program BeHave – Public Art Experience. It took place between 2015 and 2016 in the former metallurgical site of Belval, Luxembourg, which is now being reactivated as the main campus of the University of Luxembourg and as a place for living and working in different service-oriented contexts. “Three Poetic Engines is articulated in three gestures: an artist book, a sound installation and a series of framed prints that the artist calls Augmented Writing. All these works combine elements connected to the history and the present of Belval. 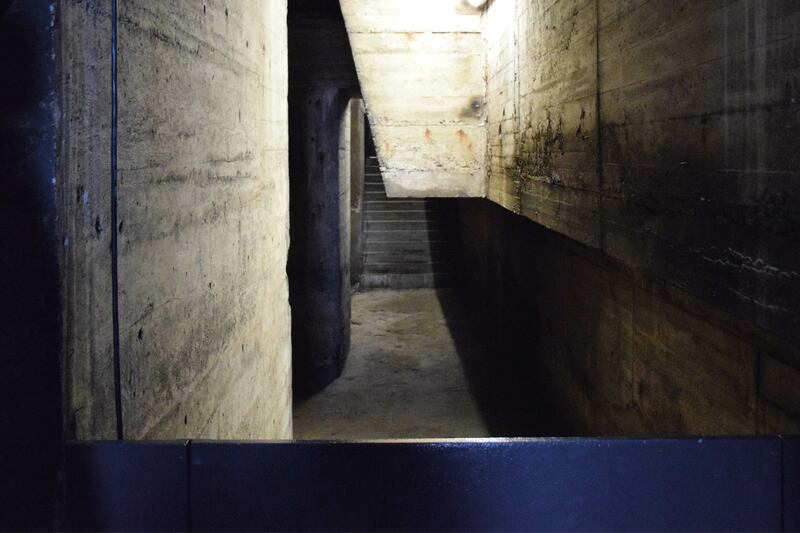 They show the way in which the artist conversed with this place and discovered its genius loci among the inhabitants, workers, researchers, students and architects related to Belval, women and men of very different generations. In this work, archive documents, conversations and poems meet, communicate and contemplate each other. For Three Poetic Engines, Alessandro De Francesco devoted himself to the art of making verses and of (con)versing with the people who live, study or work in Belval and its surroundings. The book Three Poetic Engines reunites and announces these three engines. Indeed, for the first part, entitled ‘1. Engine meet, say’, the artist transcribed a series of conversations he had with the people of Belval. 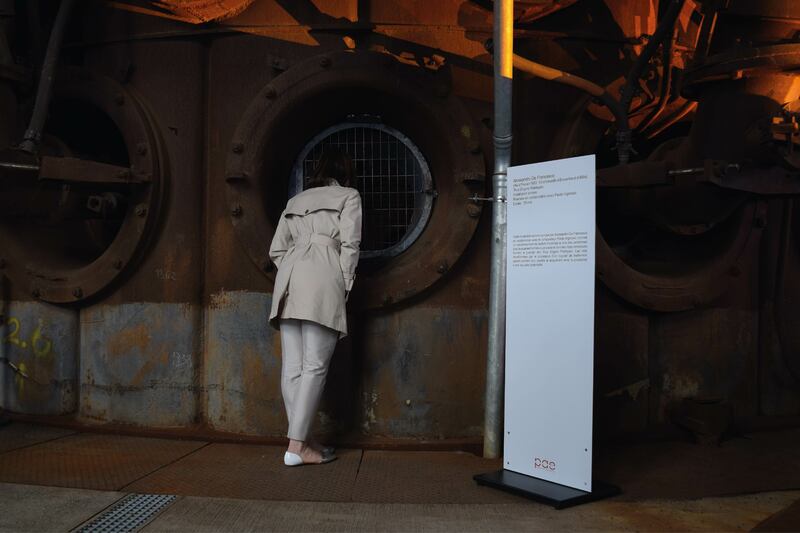 The conversational engine turns around the past of Belval, the relation to its blast furnaces, and of the hopes related to the conversion of the factory into a research centre, among other topics. In formal terms, it reverses on the page the organization of these conversations: the answers precede the questions, so that the differentiation of the artiste-investigator-author is melted with the one of his interlocutor-(con)versator. The second engine ‘2. Engine cartography, enhancement’ extends the writing and the line beyond the pages of the artist book. These framed prints fall within the continuity of the writing and archival method called by the artist Augmented Writing. Alessandro De Francesco conceives the augmented writing as ‘a critical writing practice interrupting the linearity of language-based informational and commercial production […], thus blocking the flux of images […]’. Because of their convex appearance, some of these prints seem to exit the page and pour their content out of it. For their composition, the artist used excerpts of archive documents, fragments of his (con)versations with the people of Belval as well as of his own writing, i.e. the poetry by which the third part of the book is formed: ‘3. Engine re-write’. For Alessandro De Francesco, these poems ‘summarize the experience of individual and collective life which resulted from the observations and the encounters occurred during the three months of my residency’”. 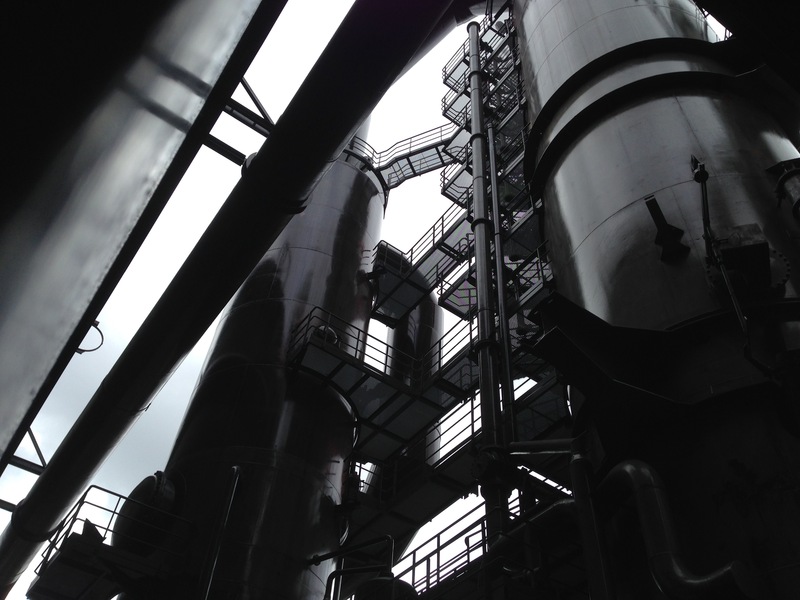 The sound part of the Three Poetic Engines project is a two-channels 35-minutes loop entirely realized as a site-specific sound installation with the recordings of interviews made by Alessandro De Francesco during his residency in Belval. The voices of his interlocutors have been digitally processed in collaboration with the composer and sound designer Paolo Ingrosso. 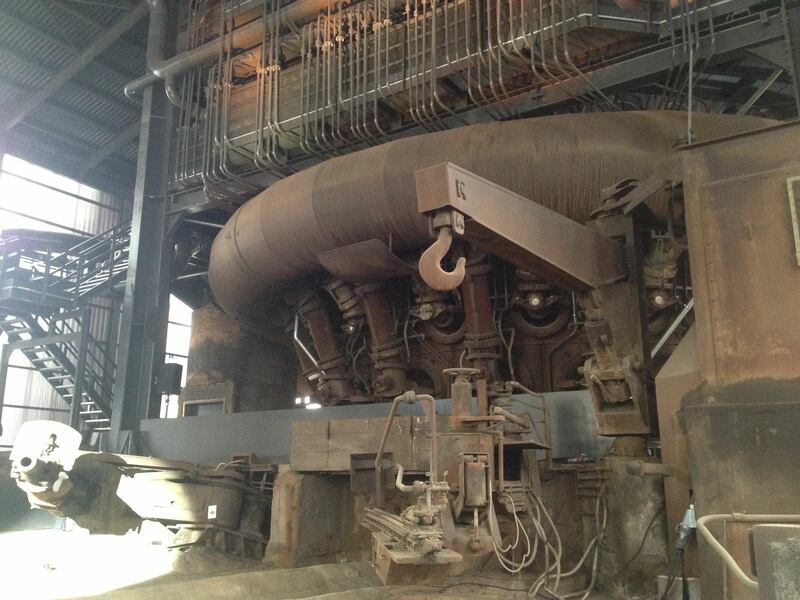 Hidden sound equipment makes the voices resonate in the whole blast furnace A of the metallurgical site. None of the loudspeakers is visible by the visitors. Like in all Alessandro De Francesco's reading environments (performances and installations based on textual material and spoken voice), the sole sound material used here is human voice.